With Valentines Day creeping up, I thought I’d finally share a long awaited outfit post on the blog, themed around the day. 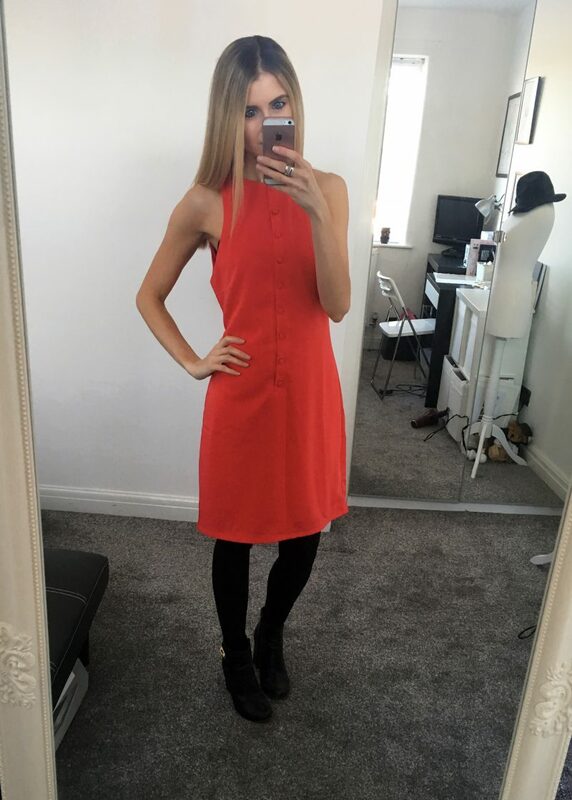 So yes girls, that means I’m going bold wearing red – a colour I very rarely wear. I’m a huge fan of dressing up and wearing the most girliest dresses, hence why I set up my own dress boutique (which you can find at What Emma Did Boutique if you have a search). And for Valentines Day, whatever I’ll end up getting up to, I’ll no doubt be opting for a pretty little number. 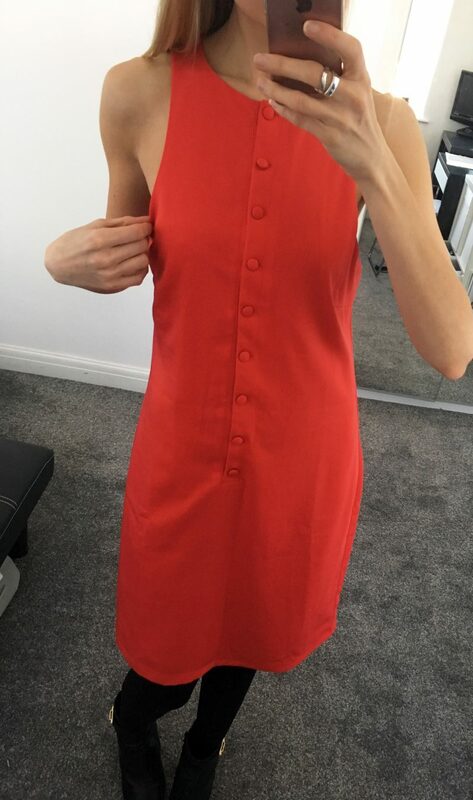 One of my dresses which I retail over at my boutique is this deep red midi style, which is perfect for those who want to wear red, but are a little afraid to go all out with vibrancy. 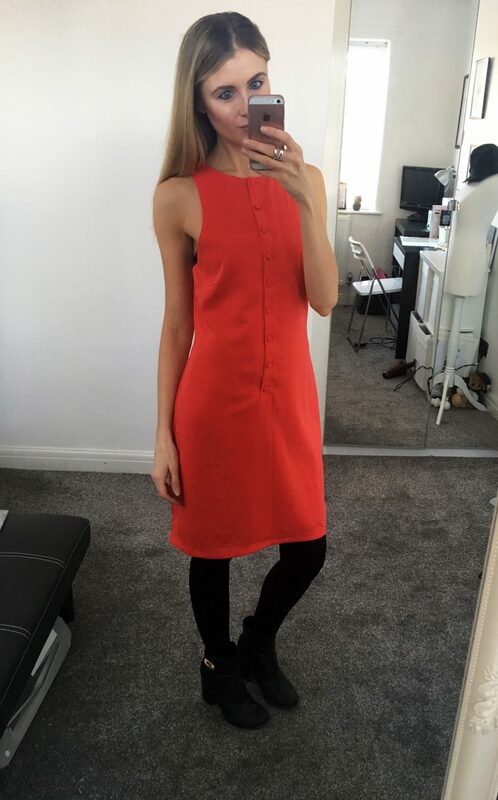 However, I recently decided that it’s time for me to ditch my trusty little black dresses and dark grey numbers this Valentines. 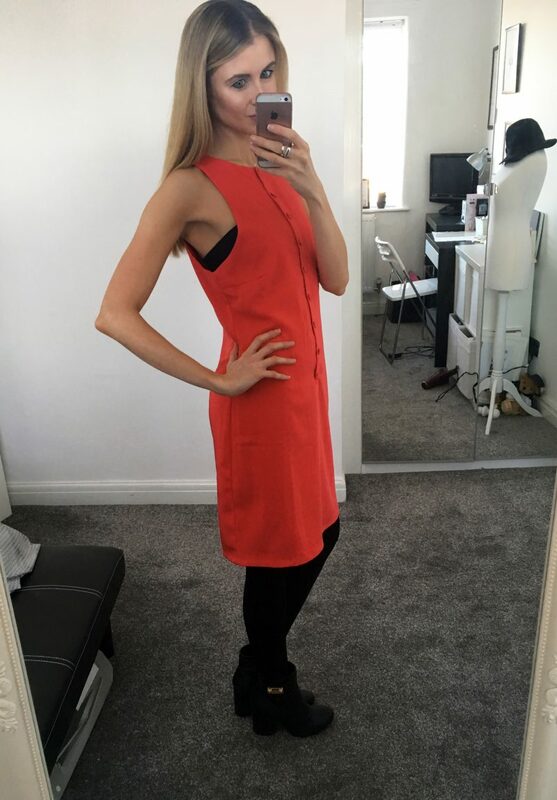 So I went all experimental with this gorgeous bright red dress from Neon Rose (with a hint of coral and orange). At first I was a little worried this shade wouldn’t suit my colourings, and the bold hues would make my already pale skin look even more washed out. But I was genuinely surprised. Who knew I could pull bright red off? 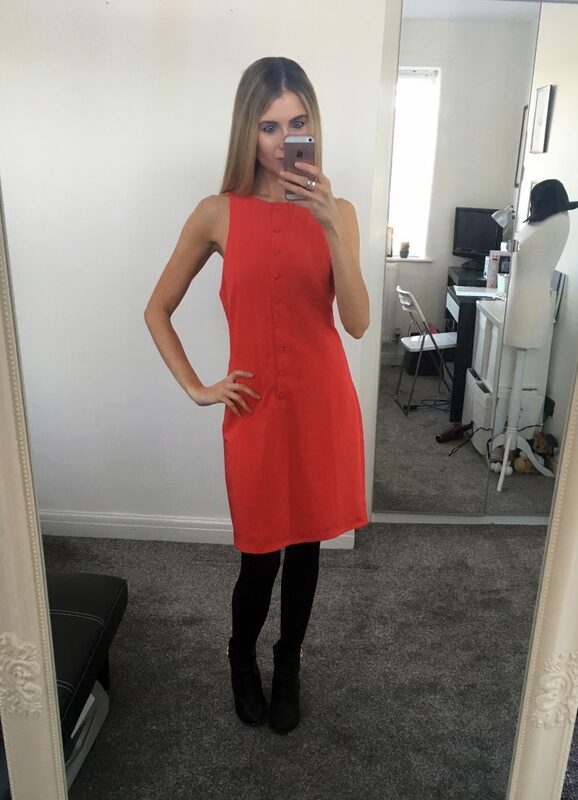 This striking orange hue red dress has a slight sixties feel, with it’s over-sized circular button details and straight line cut. 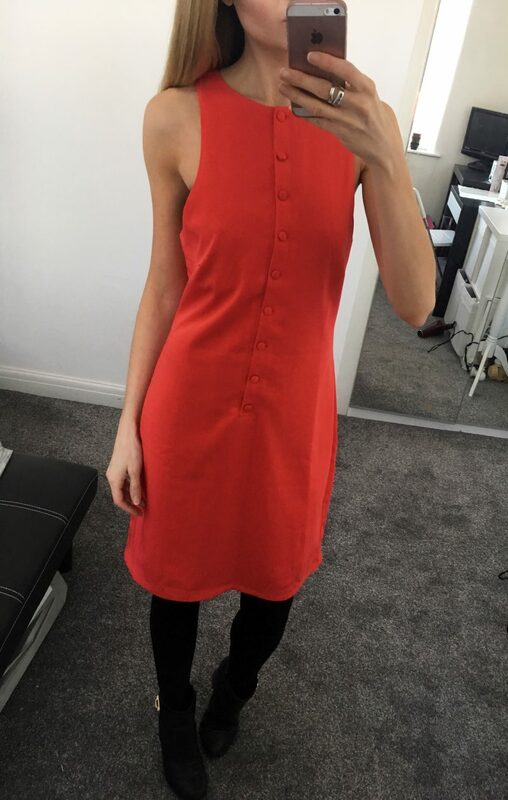 I’m a huge fan of a good old, classic midi length finish, so that if I wanted to, this dress would look stylish with bare legs, a clutch and a pair of killer heels. Call it cherry, ruby or scarlet, red is the colour to wear right now. The tailoring you’ve been thinking about buying in black, and instead adopt the head-to-toe-red effect. Confident red clothes demand a fearless, full-on attitude approach, and you’ll radiant being a sexier, stylish siren. If you are worried about red giving the illusion that you are bigger than you are, then do approach with caution. As with any bright, eye-catching colour, it does draw the eye to the overall shape, giving the opposite slimming effect in which black does so wellFirstly, look for plus size fashion (such as Ezibuy’s plus size fashion) if that’s the category you fit into. It’s important that when adopting this vibrant shade, you chose clothes which fit you appropriately, and don’t hug your figure too much. Look for tailored blazer jackets, cigarette style 3/4 trousers, or even a deep scarlet roll neck jumper to inject some laid back styling, with a pop of statement colour. Remember that cool blonde tones in the hair can pull of those cool undertone shades of pale red, sweet strawberries, fresh pinks and the more orange based ‘hot reds’. Those with darker hair colours, such as warm browns, mahogany and jet black can pull of the more deeper reds, like berry shades, burgundy’s, cherries and scarlets.